This was started in the year 1993-94, for the benefit of the Visually impaired children / students.Braille Resource Centre(BRC) (previously it was known as Braille Transcription Centre) has successfully completed 25 years of service to the society. This Centre is engaged in transcription work of English and Kannada medium text books from 1st Std to Post Graduation level and general books into Braille for the benefit of various Institutions , Schools run for the visually impaired and Visually Impaired persons. 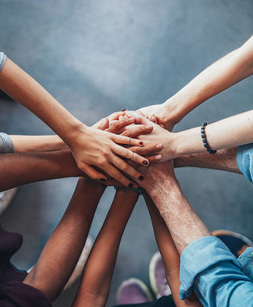 BRC also conducts various Training Programmes such as Braille Training, Teachers Training, Training for Competitive exams etc, for the benefit of Visually Impaired. The centre has the contribution of about 100 plus volunteers who provide various services. 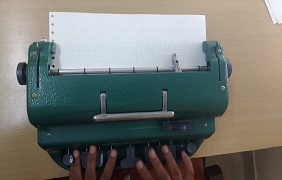 Transcribing textbooks including Maths and Science / General books in English,Kannada and Hindi into Braille. Providing reader service through volunteers to help the visually impaired students in their education. Donating Braille books to the Institutions working for the blind. Creating awareness among normal children about the requirement of the visually impaired. Teaching Braille to interested sighted persons and also to the visually impaired. Training of teachers in Braille. Preparing the Visually Impaired for Competitive Exams.